Back in April, we gave you details of the upcoming "Pink Floyd: The Story Of Wish You Were Here" Blu-ray and DVD. Released by Eagle Vision HD, the title is coming out on both formats later this month - on June 25th in the UK, and June 26th in North America. Other areas should follow suit around those dates. We now have the trailer for this much anticipated release, which you can see below. The documentary tells the story of the making of this landmark release through new interviews with Roger Waters, David Gilmour and Nick Mason and archive interviews with the late Richard Wright. Also featured are sleeve designer Storm Thorgerson, guest vocalist Roy Harper, front cover burning man Ronnie Rondell and others involved in the creation of the album. In addition, original recording engineer Brian Humphries revisits the master tapes at Abbey Road Studios to illustrate aspects of the songs construction. 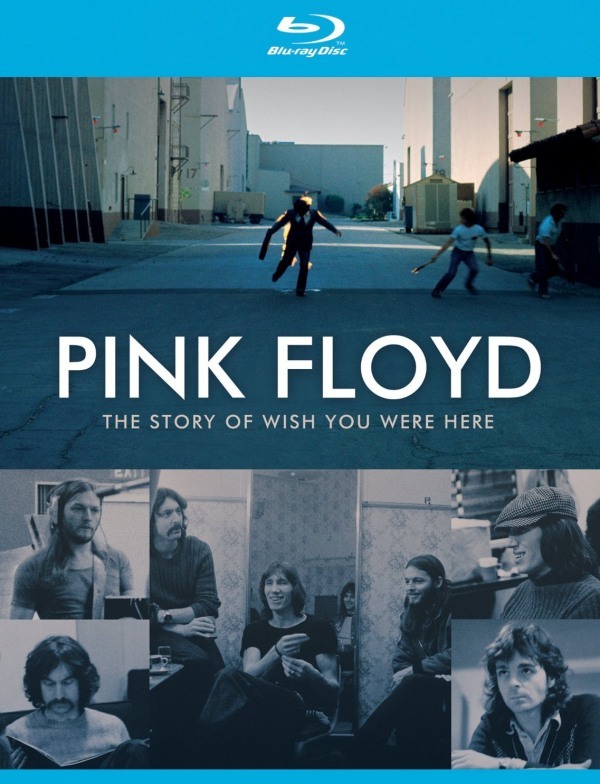 The DVD and blu-ray releases contain additional bonus material not featured in the TV broadcast version, including further interviews with Roger Waters, David Gilmour and Nick Mason, plus Roger and David performing excerpts from the Wish You Were Here album. At this stage, you can use the following links to save up to 30% off normal price for the Blu-ray, from Amazon UK , Amazon.com (US), Amazon Canada, and Amazon.de (Germany). The DVD can be pre-ordered from Amazon UK, Amazon.com (US), Amazon Canada, and Amazon.de (Germany), again saving up to 30% on normal price. Amazon offer a pre-order price guarantee to ensure they charge their lowest price when shipping items at release. As other stores list the release, we will update this page. Play.com and Zavvi also offer the Blu-ray and DVD, but both are more expensive than Amazon currently.